You know that "FREE BABY SLING!" promo you receive in your mailbox? or hospital samples pack? or email? I tried it and I wasn't disappointed. First of all, the "free" sling isn't free. Because of this I recommend getting a gift set instead of just the sling because the discount code marks down the entire purchase. 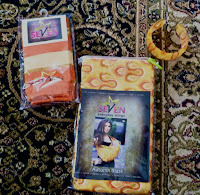 My "Autumn Blaze" size 5 gift set is listed as $72.00 and marked down to $44.00. The code "SEVEN" takes off the $44.00. A mysterious $5.00 charge sticks around plus $11.95 shipping. So my "free" $72.00 sling gift set was actually $17.00, which still isn't bad considering most baby wearing options are in the $50 range. A week after ordering I saw a shipping bag shoved into my mailbox. It certainly wasn't $12 worth of envelope, but it kept the goods intact. I opened it and didn't experience the chemical smell that some have complained about. It did smell like plastic but it didn't smell like China. I love the leg warmers and the bracelet is really cute. After a good pre-wash in warm water and a hang dry, the fabric stayed the same size and the smell was gone. 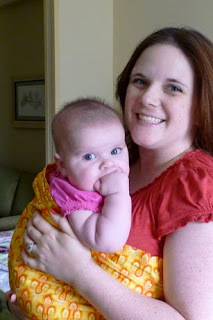 I slid my nearly 17 pound 15 week old into it and started making faces at her in the mirror - she started laughing! That was a great sign that she was comfortable. I love how easy it is to get her in and out of it. It also folds up very nicely into my diaper bag. It's not adjustable so I don't think I'll be able to fit my giant baby into the sling when she's 35lbs, but I'm going to enjoy it as long as I can. The holds that the models use on the website are for skinny moms with small babies - they won't necessarily work if you're an average size woman (or man.) When I use it, I don't fold down the portion that fits over my shoulder and arm; folding it made it too tight to slip her into the sling. I recommend getting a size or two larger than the size chart because it doesn't account for chests or post-pardom bellies. 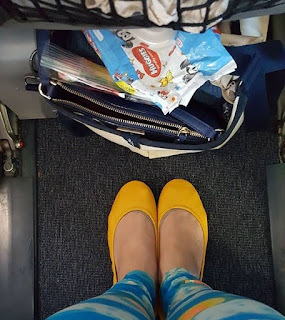 I have a petite size 8 frame but a large chest, so my size 5 works very well. 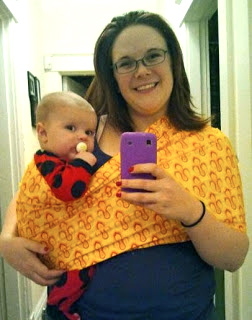 All in all, my $17.00 sling is pretty, convenient, and inexpensive; I'm pleased with this purchase. 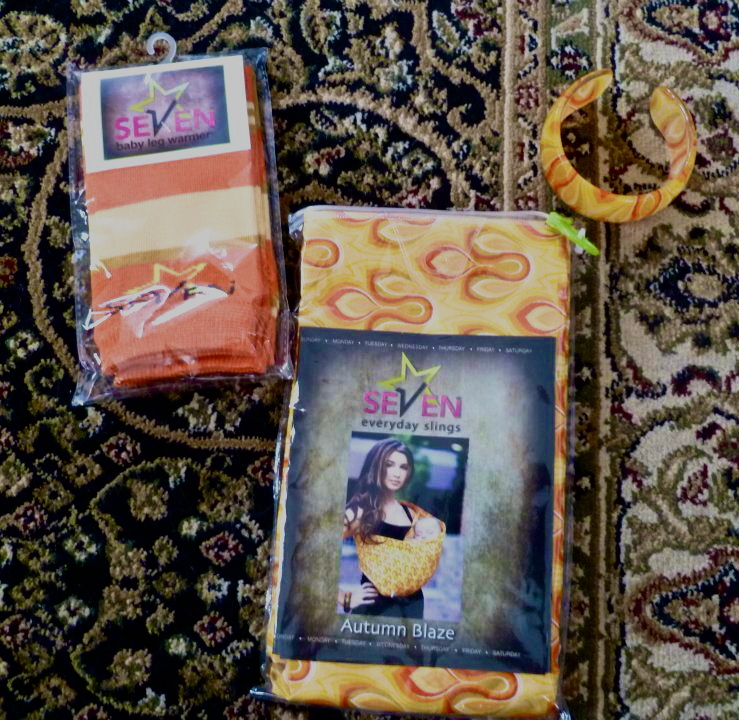 If you want to order one, go to www.sevenslings.com and use the code SEVEN at checkout. The same company also sells modesty covers (www.uddercovers.com) and they have the same "FREE" situation where you're really paying $17. If you need a nursing cover, get the gift set. I bought one for an upcoming baby shower and I was still impressed with what I received.